Deep dark copper color. Warm melted buttery caramel and anise seed aromas follow through on a soft, silky entry to a dry-yet-fruity medium body with caramelized pear, peach, and apple notes. Finishes in a vibrant peppery spice and praline accented fade with slate minerality. Opening bouquet emits echoes of once-ripe fruit, oak and cheese-like rancio. Aeration assists this bouquet by adding touches of prunes and black plum. Palate entry offers flavors of bittersweet chocolate, orange pekoe tea and cocoa butter. Midpalate comes on strong with vivid tastes of toasted walnut, almond butter, bacon fat and brown sugar. Aftertaste is rich, almost syrupy. International Review of Spirits Award Gold Medal. 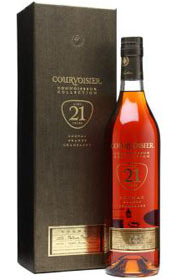 Made with Cognac that comes from the family heritage before 1914. Well-rounded with natural strength. Aromas of flowers and hints of fruits develop in the long finish. 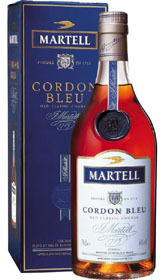 A very elegant Cognac. A perfect blend of a single vineyard averaging some 50 years. Smoky aromas of fruits and flowers coexist in perfect unison with hints of dry wood. Outstanding length, roundness and pleasure. 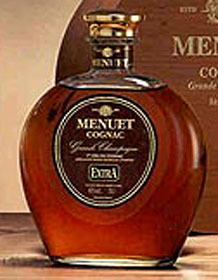 An awesome Cognac. The breed and power of this Extra drape the palate with all the warmth and luxury of soft, snug cashmere. Each fold reveals an unexpected or surprising aroma in a swirl of birch, toasted pistachio, Caribbean vanilla, and sultanas— woven on the tongue into a harmonious pattern of extraordinary proportions. Old gold with copper tints in colour. Intense, rich aromas, evolving towards fruit notes followed by soft spices and dried fruit. Supple, fresh, and elegant palate with a multitude of floral and candied fruit flavours. Gourmand and spicy touches on the finish. 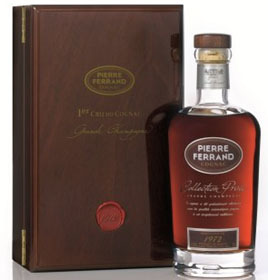 A rare and very exceptional Cognac. 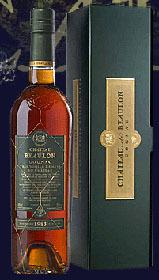 Gold Medal Brussels 2007 Trophy Excellence, Citadelles Bordeaux 2007. At first on the nose are notes of dried hazelnut, dried apricots and figs, followed slowly by hints of cocoa, honey and smooth spices like white pepper and coriander. On the palate, the aromatic notes deepen into candied orange and gingerbread, leading to a smooth and voluptuous finish with exquisite depth that seems to go on forever, with notes of leather and fine cigar. SF World Spirits Competition 2011 Gold Medal. Everything about this Cognac is original. Its colour, a unique copper bronze. Its generosity. Its aromas and flavours, which convey the time spent waiting for you. Its spicy notes drawn from the old cellars, together with hints of walnut and hazelnut, the result of slow maturing and fully conserved natural and powerful cocoa notes. Persistent smoothness and balsamic notes are enveloped by delicate iris perfumes. 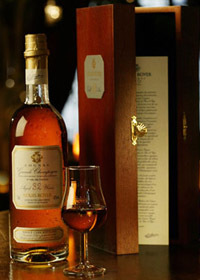 Finally, a mature soul, both solitary and rich, this “rancio” that every lover of Cognac searches for. Deep amber color. Aromas of buttery toffee, floral bath soap, raisins, cola nut, and delicate maple syrup follow through on a rich, supple entry to a dry-yet-fruity full body with complex waves of dried fruits, exotic spices, leather, anise, cocoa, dried lavender, and sandalwood. Finishes with a seemingly endless, evolving peppery wood spice finish. Magnificent! International Review of Spirits Award Platinum Medal (Rated 98 points, Superlative), Wine Enthusiast Rated 96. Fine and delicate nose. Initial notes of very ripe fruit, plums, apricots, pineapples quickly developing into spicy tones, curry, saffron, nutmeg, sandalwood. Very generous, mellow and round palate with candied fruit and vanilla tones. Extremely long in the mouth, exploding in a sumptuous bouquet of floral notes. Brussels 2004 Gold Medal, Citadelles Trophy, Bordeaux 2004 & 2007; Grand Gold Medals, Shanghai 2005.